Rumored and discussed for longer than we care to think about, the Porsche Boxster and Cayman are now available as GTS models. As is typical for Porsche, these models feature more powerful engines and additional standard equipment. 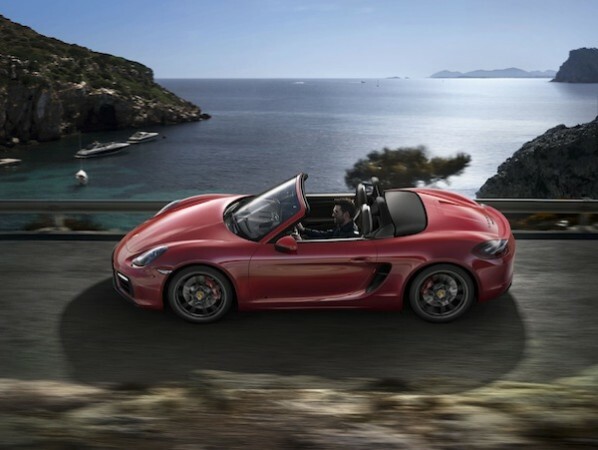 Each Boxster GTS and Cayman GTS models is visually defined by a unique front and rear fascia, blacked out Bi-Xenon headlights with the Porsche Dynamic Light System (PDLS), 20-inch Carrera S wheels and a sport exhaust system with black tailpipes as standard. Power comes from the same 3.4-liter 6-cylinder boxer engine available in the "S" models but has been further tuned to deliver an additional 15 hp. 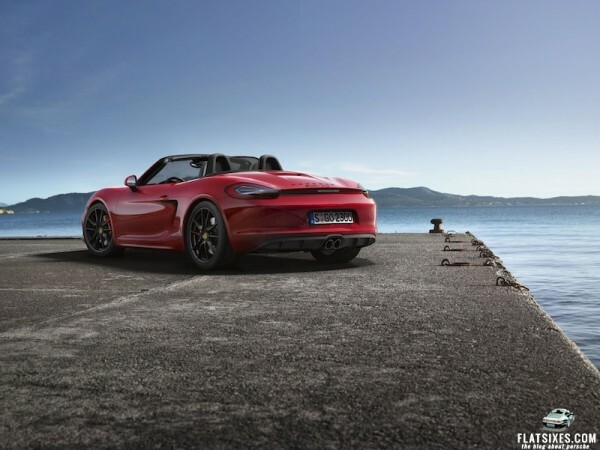 This means thethat the Boxster GTS has 330 hp and the Cayman GTS has 340 hp. Torque has been increased by 7 lb.-ft. in each model: 273 lb.-ft. in the Boxster GTS and 280 lb.-ft. in the Cayman GTS. The Sport Chrono package is now a standard feature with either the 6-speed manual or the optional 7-speed Doppelkupplungsgetriebe (PDK) transmission. 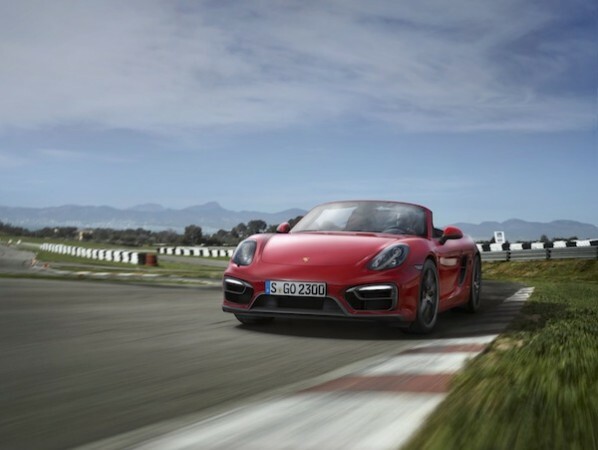 This means with the optional PDK transmission and Sport Plus button activated, the Boxster GTS reaches 60 mph from a standstill in 4.4 seconds and 4.3 seconds in the Cayman GTS. Top track speed for the Boxster GTS is 174 mph with a manual transmission and 177 mph for a Cayman GTS equipped with a manual transmission. 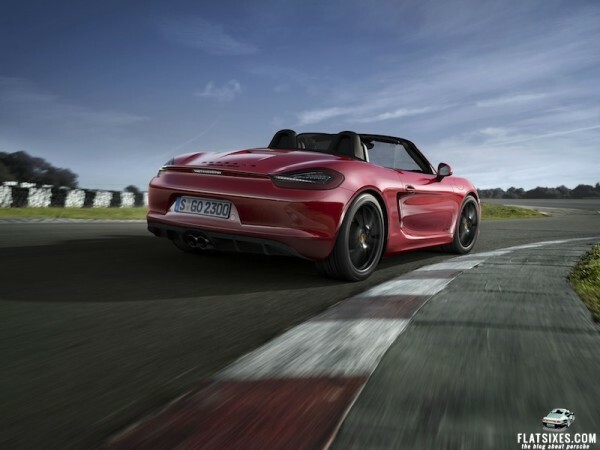 Both new GTS models feature Porsche Active Suspension Management (PASM) as standard. The 235/35 front and 265/35 rear tires on 20-inch Carrera S wheels look great and provide a balanced set-up. Like other Porsche GTS models, the interior of the Boxster GTS and Cayman GTS feature an Alcantara® wrapped steering wheel, headliner, center console, and inserts on the standard Sport Seats Plus. In addition you get the GTS model designation embroidered into the headrests and printed on the tachometer face. In the U.S. the Boxster GTS is priced from $73,500 and the Cayman GTS is priced from $75,200, excluding destination charges of $995. In Canada the Boxster GTS pricing starts at $83,900 and $85,900 for the Cayman GTS. Both models will be available for delivery this summer. Three-quarter rear is about the ugliest photo angle for any car. Can you post any of the front? Frank, Porsche hasn’t given us many to work with, but we uploaded the few additional pics we had. …and I disagree with Frank. Thanks for the info. You may be right: I drive a 912! Boy, that Boxster GTS makes my ’02 S look tiny by comparison. Jermat, I agree … I drove the 2014 Boxster and had the same reaction to how it feels – “BIG” and much less agile when compared to my ’00 S.